Even though Mr. Zacher did everything required by law, he’s still the biggest loser in this incident. While he was not required to, there are still precautions that he might have chosen to take in order to protect himself. When you are a vulnerable road user doing more than you have to could pay off. OPINION – Who Ya Gonna Call – For A Chronic Traffic Problem ? Opinion – DriveSmart BC – What Does A Construction Speed Zone Ticket Cost? 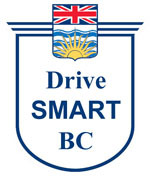 DriveSmart BC – Can An Experienced Driver Learn New Tricks? Be the first to comment on "DriveSmart BC – Pedestrians & Drivers Turning Left"